This appliance can help you make a variety of delicious crepes very easily. It’s 30cm diameter top accompanied by the spreading utensil and wooden spatula that come with the product ensure that your crepes are cooked evenly. You can stuff them with chocolate, bananas, cheese or a number of other ingredients that you may have been craving. 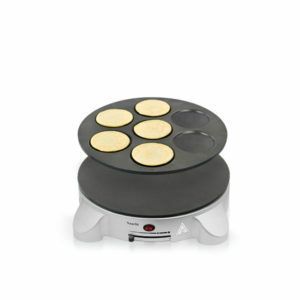 The appliance can also be used to make traditional Rigag breads that go great with any number of meats including chicken, lamb and beef. 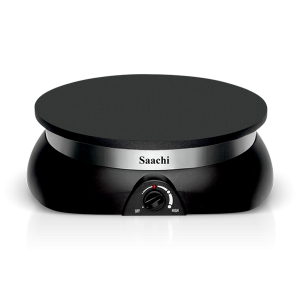 The appliance is also suited to make Indian style dosas making it a very useful addition to any kitchen.